"... the work was completed within the time agreed and your approach professional and friendly." We all know that one of the most effective forms of marketing is via word of mouth. Well, in the last few years with the advent of ‘social media’, word of mouth has gone digital. You can’t go far today without coming across a web address, QR code, an email, a blog, Twitter, Facebook, LinkedIn, Google+, Youtube and a whole host of other digital formats. The challenge that today’s business owners face is being able to use these formats effectively and to their advantage. There are a multitude of different ‘channels’ and the majority have the ability to be tremendously advantageous for your business. What cannot be questioned is the value of participating in some form of social networking or marketing. Simply put, in this digital age; appropriate digital interaction is a must if the business is to thrive. It doesn’t matter if you’re B2B or B2C, these channels can offer significant value to your business and should be ignored at your peril. 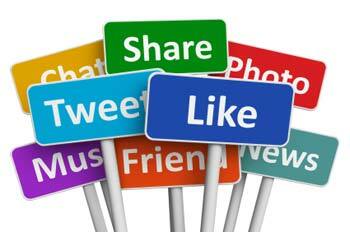 At Toucan Internet LLP we offer a bespoke social media service. We have a diverse range of clients participating in a diverse range of activities and this allows us to appreciate that there quite simply is not just one global solution for everyone. Consequently we offer a range of social media solutions that can be tailored specifically to your varied requirements, expectations and budget, as well as being designed specifically with your target audience in mind. The value to you is that Toucan take this on for you and run it to your brief and budget. Whatever stage your business is at, Toucan can help. Whether you are looking to build an entire online presence from scratch and see social media as an important branch of that; or you are looking to add social media to what you are already implementing; we can work with you to help you achieve your goals. If you already possess a digital presence and ideas regarding your marketing focus, we can work with you in deciding how best to grow your online presence and social media activity, whilst maintaining everything that your company and brand stands for. We understand the importance of an homogenous digital presence and consequently we believe that everything published must be in line with your business goals and character in order that your business reputation is only enhanced. In terms of the differing channels we can offer you; Twitter, Facebook and LinkedIn are good places to start, whilst Google+ is also emerging as one of the key players in social media marketing. If you are looking to share lengthier news items or other information, then a blog is a perfect place to showcase these and this can also be implemented by us at Toucan. We understand that there will be differing levels of expectation, and it’s important to set your ambitions in line with your ability to manage this new marketing. Regular and worthwhile posts are integral to the success of this kind of marketing and this is where Toucan can help you to achieve your goals. We can take a brief from you and use it to create a bespoke programme for you. After ascertaining precisely what you require, we can set up a schedule for each social media platform in order to maximize your online presence. This can be done with a varied level of input from you; we can either source the content from you, or you can commission us to research and garner relevant content. We also offer an interactive service whereby we will respond to your followers on the various platforms in order to encourage positive social media interaction and increase your profile on the world wide web.